SIP Trunking can be utilized to communicate both internally and externally using an Internet connection at reduced cost and optimal function. Let’s take a closer look at SIP Trunking and how it has real advantages beyond those that may or may not seem obvious. A study by market research group, tIPicall, noted that the market could potentially see 40% of all lines becoming SIP by 2016. That’s a pretty significant change, and there are numerous reasons for this projected stat. Of course, considerable investment is necessary initially with the conversion to SIP Trunking, and startup costs could be a little high. However, don’t let that discourage you as the return far outweighs the price of investment. In the traditional days of wireline telephony, when all phone calls went over the PSTN, businesses would purchase “trunks” – now that these trunks have graced the IP-enabled landscape, there are plenty of options when it comes to SIP trunking providers. Telephony costs are greatly diminished with SIP Trunking and the overall return on the investment is guaranteed considering the open window for centralized, advanced communications within businesses and with vendors alike. Extending VoIP with SIP Trunking outside just a corporate LAN provides an almost immediate cost-savings, where PSTN gateways and the like won’t need purchasing in the event an expansion is needed. IP-to-IP calling wherever possible is another method of saving money. 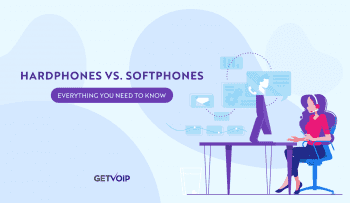 While many enterprises are only using VoIP for communication on the enterprise LAN, they are selling themselves short and spending too much. SIP trunking takes the idea of VoIP a step further, above and beyond only a LAN application. Calls can easily be placed anywhere on the globe at a local and reduced call rate in comparison to other services. It’s also incredibly difficult to put a price (although there already is) on being able to monitor the entire telephone network, which is included with software such as Fonality’s HUD, Virtual Office, and others. SIP Trunks themselves are also much cheaper than analog circuits, costing approximately $20-$30 per trunk, versus $40 per analog circuit. If you opt for ten SIP phones rather than the same amount for analog, you’ve already saved up to a few hundred dollars. Gone are the days where adding another line meant someone physically showing up with a bundle of wire and a mission – SIP is quick & seamless. A SIP aware firewall in place to moderate and filter incoming VoIP traffic is a great way to protect one’s infrastructure. There is a universally negative side to this concern, where SIP security might be viewed as easily compromised as it involves a degree of transparency, but this is hardly the case. There are some amazing, advanced measures one could apply to protect and optimize their network. 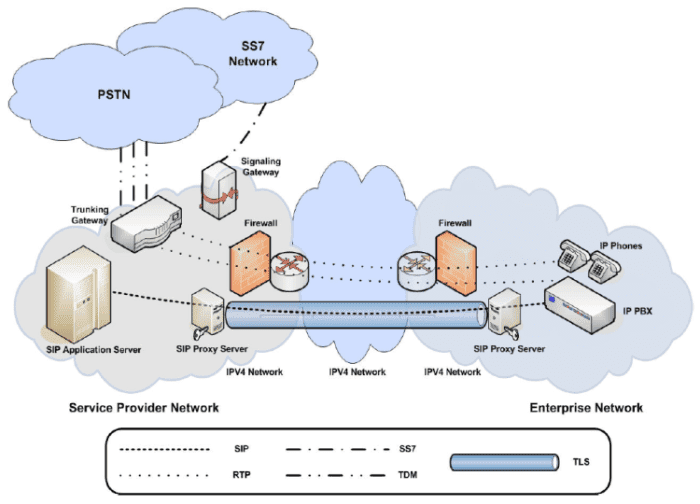 SIP proxy technologies offer maximum control over the flow of SIP traffic, allowing administrators to ensure correct routing, applying verification measures and authentication policies, thus creating fortified, high-functioning networks. Rather than be overwhelmed, it’s a great idea to cover all bases and take the correct measures to preserve your investment, like applying an alarm system on a brand new car. With SIP Trunking, increasing lines is much easier and cheaper than with traditional PSTN gateways. If in need of another line, it’s easy to simply purchase an additional software license rather buy a new PSTN gateway, subscription, and/or costly BRI (Basic Rate Interface), PRI (Primary Rate Interface). Enabling SIP capabilities in a corporate network to function outside the LAN, allows satellite offices, remote workers, and even partners and customers to traverse the constraints of geography, collaborate on ideas, and increase productivity. With the recent advances in SIP Trunking, employees may enjoy their numbers on-the-go with mobile integration. Connections may be made through a traditional PBX, IP-enabled PBX, legacy systems, multi-vendor endpoints – the list goes on. 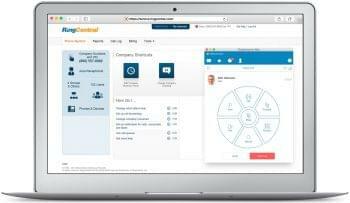 Successfully deploying SIP Trunks will rely on a PBX with a SIP-enabled trunk side, an enterprise edge device that understands SIP and an Internet Telephony or SIP Trunking service provider. Standards based approaches like SIPconnect opens the door widely as an initiative for users to apply IP PBX and Service Provider Interoperability. 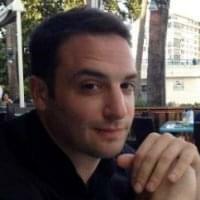 Joining up with sipforum.org places one in the middle of a gigantic community tirelessly devoted to advancing the adoption of products and services based on full SIP integration. SIP standard is written with interoperability in mind, and although integration takes time, its usually more than possible with a little vigilance. ​Not an open and shut case here, but one that can be modified with the proper applied measures. SIP Trunks can be more reliable than PSTN, with the ability to deliver both data and voice in the same connection, optimizing bandwidth. The difference is all in how a network is micromanaged and planned. Prioritization of voice traffic may be controlled for inbound and outbound calls and strengthened with focus on supporting elements for voice traffic and data. Another consideration, is that if a primary service fails, SIP Trunks are set up and prepared for this by diverting connections to secondary, tertiary, and subsequent lines. As such, they are more reliable than traditional trunks which may simply disconnect from the other caller if there is a fault in the connection. In the end, SIP Trunking is a powerful tool for any office with the right measures employed to secure, ensure interoperability, apply standards-based, “future proof” equipment, and precise management from IT. 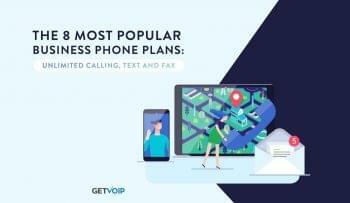 SIP Trunks are one among many things paving the way for a future using VoIP for business – extending the notion of seamless connectivity within a business to customers, remote employees, and pretty much anyone working outside of a corporate network. It’s not just exciting, it’s a given – and furthermore, a surefire way for businesses to build a top tier infrastructure and reputation.